Description: The program designed for security hybrid platforms working simultaneously with IP cameras, USB cameras, and capture cards. It produces MPEG-4 coded video and completely controllable remotely that surveillance computer can be operated with no monitor, keyboard, and mouse. The program performs "cyclic" recording that the "disk full" situation never occurs. Video playback is synchronized for event analysis from multiple cameras simultaneously. Description: WebCamera Plus key features: - Transforms your PDA or Smartphone into a high-resolution web-camera and microphone. - Can work through any connection: USB ActiveSync, Wi-Fi, Bluetooth, GPRS, 3G, LAN. - Compatible with most modern Smartphones and PDAs. - Can be used as a web-camera and microphone in many applications: Skype, Windows Live Messager, Yahoo Messenger, Virtual Dub and many others. Description: Web Cam Extender - your webcam is much better then you think about it :) Web Cam Extender - extend your cam. 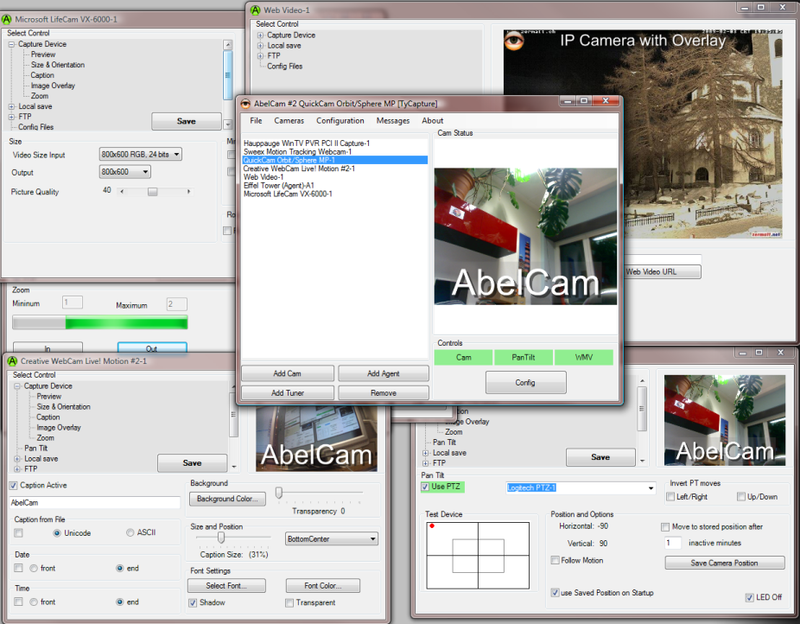 Description: With CamLAN you see your WebCam/NetCam video on all PCs within your LAN or over the Internet. CamLAN has a built-in video network server/client functionality which shows the video from all connected video devices on all PCs. With the integrated webserver functionality you can view the videos of all cameras on your homepage! Picture capturing and video recording with timestamps and an overlay image is possible. Multiple languages support! Description: CamPermanent - Is the ultimate solution for all of your video demands. It supports WebCams, NetCams (IP-Cams) and all video devices which are working with an up to date driver for Windows. Additional it includes a network server client functionality to send the video from all cameras from one server PC to all connected client PCs. For professional and privat surveillance purposes there is a built-in motion detector which has numerous functions. 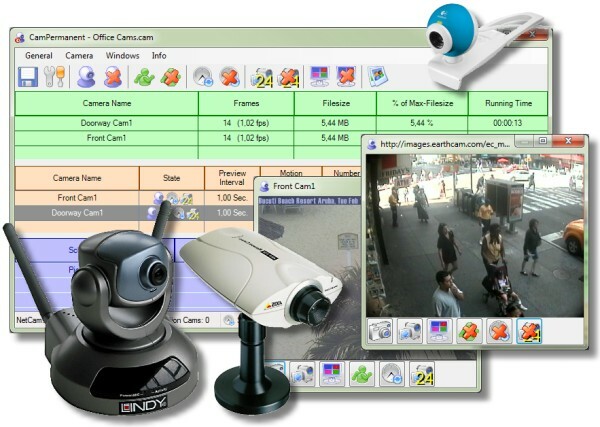 Description: CamShot monitoring software is a simple and easy-to-use monitoring software. It can capture the WebCam image and deliver it via Internet. 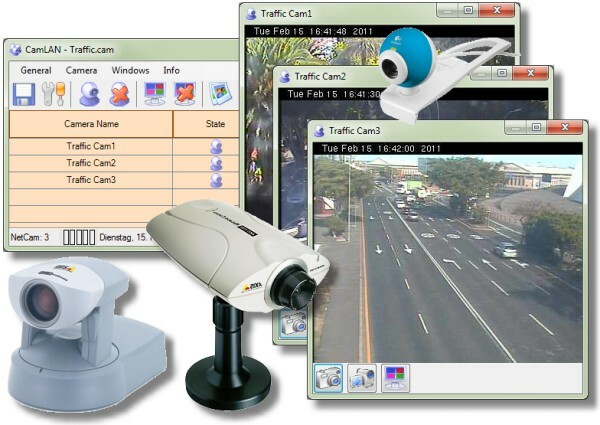 CamShot has two monitoring modes Schedule Mode and Motion Detect Mode. The screen capture can be sent out via email notification, ftp upload, file saving, post to built-in server. You can set to play an audio file to act as warning system.